This month sensitive skin experts Green People launched a brand new gift set specifically for children. 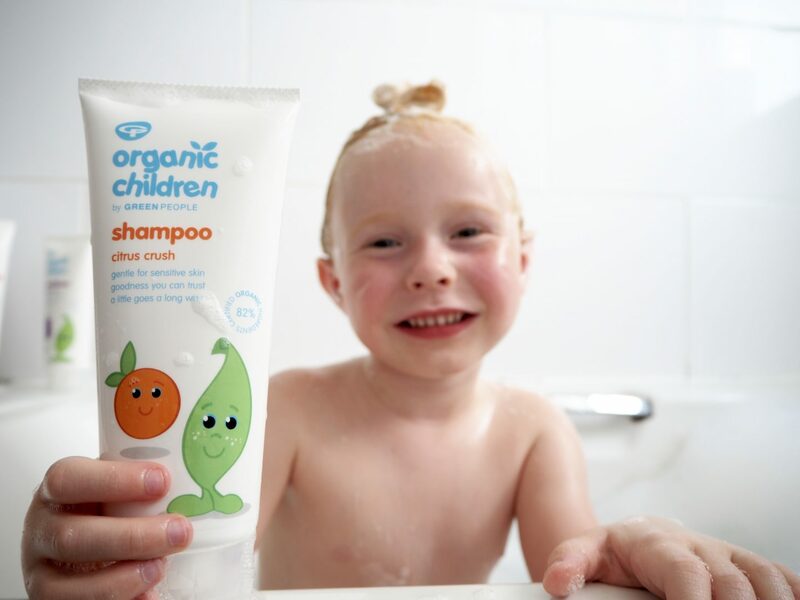 The Fruity Favourites set contains four fantastic products from the Organic Children range, and we have been lucky enough to try it out. I also have a set to give away to one lucky winner, scroll to the bottom of this post to find out how you can enter. Green People have been pioneering organic products for sensitive skin for over 20 years and our family absolutely loves their range. Both of my children have sensitive skin, especially my son Max who has eczema. This means that I have to be very careful about what I am putting on their skin. We have tried many Green People products over the past couple of years and are yet to find any that we don’t like! Did you know that babies and children’s delicate skin is thinner and more absorbent than adults which means a less effective barrier against chemical toxins. 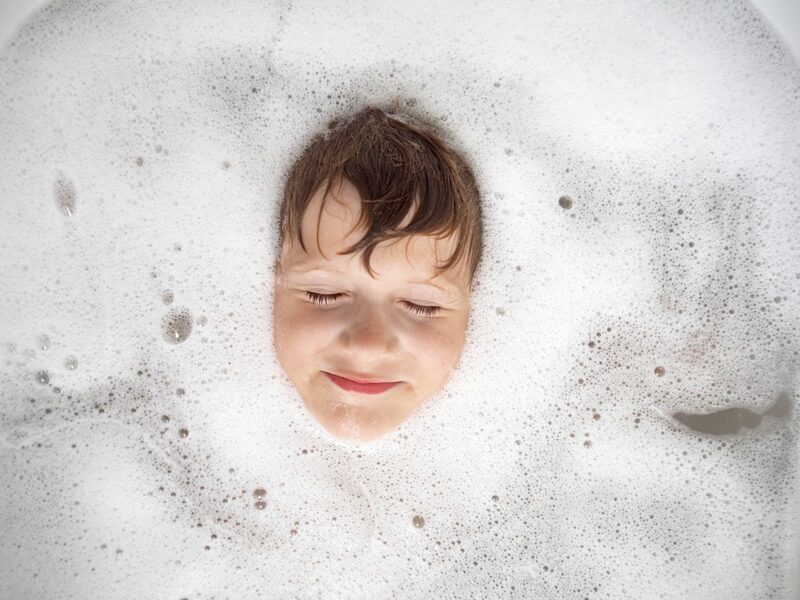 Research suggests the rates of eczema and allergies among children are on the rise and the early introduction of harsh toiletries on to sensitive skin may be a factor. The Fruity Favourites gift set includes four products that have been specifically developed to keep young skin in tip-top condition. Citrus crush shampoo not only smells incredible but it leaves hair soft and tangle free. As with all Green People products a little goes a very long way – I find I need about half the amount that I would usually use. Berry smoothie bath & shower is one of my children’s all time favourite Green People products. It smells amazing with its delicious scent of raspberry, apple and vanilla. And it leaves their skin soft and nourished, with absolutely no dryness or irritation. 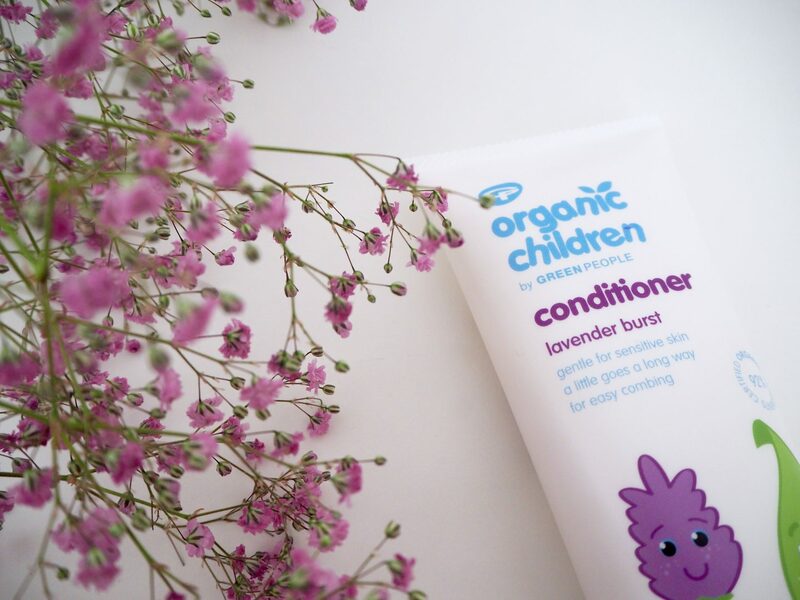 Lavender burst conditioner is scented with calming lavender which is great to use before bedtime to help relax little ones for sleep. This conditioner is vitamin rich and leaves hair tangle free. Evie’s hair is curly and can get very tangled so we have been enjoying using this product. The fourth and final product in this set is the citrus hand sanitiser, which we have actually tried before and love. It’s a great size for just popping in your handbag for use on the go. No water is needed with this product so it’s really handy to have to keep germs at bay. The Fruity Favourites gift set also includes a little colouring-in booklet which I think is a really nice touch and something that my two really liked. 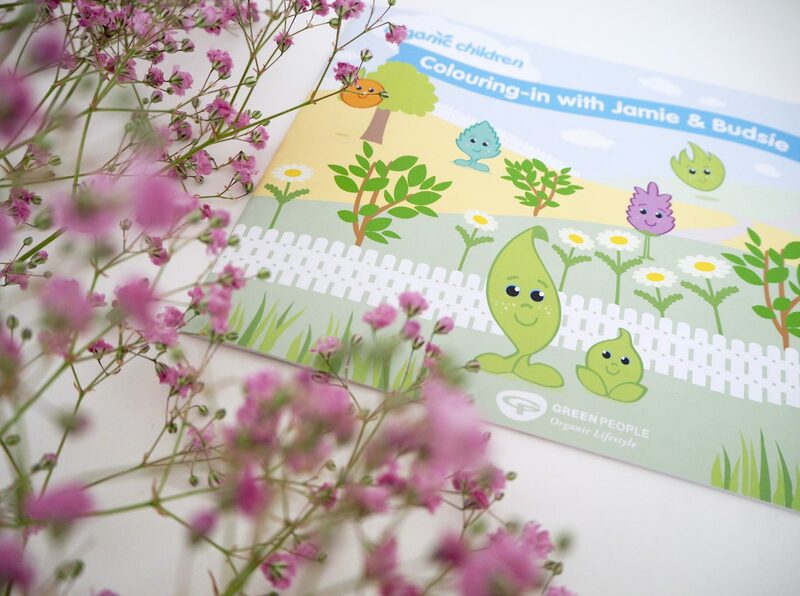 It features cute little Organic Children mascots, Jamie & Budsie who my children have come to recognise on Green People products. To be in with a chance of winning a Green People Fruity Favourites gift set (worth £35), simply enter via the Rafflecopter form below. UK entrants only please. The competition will close at midnight on Sunday 12th August. The winner will then be contacted via email. Please reply with your address details within 30 days or a new winner will be drawn. I would LOVE to try these on my lot! Many thanks for this great review and giveaway. I would love to try this for my daughter who has eczema prone skin. These look fab, love the fruity characters too, so cute. I’ve not yet tried this brand. Looks like a fantastic range of products so would love to give them a go! Love the Green People, this would be perfect for my grandson. I would love to win this lovely gift set for my little nephew. Fantastic giveaway thank you for having it and i bet these products smell amazing! I love the Green People products, especially the lavender! Any help encouraging my niece to wash her hands is a great help. This brand has been amazing for my daughter, and I just love the packaging! Bet this all smells amazing! Would love to give these a go and also smell them. Green People are awesome, I have never used any of the children’s products though. Would love to! This looks lovely, have been meaning to try this brand. These look great, never seen this brand before. Bet they smell delicious! I would love to try this so good that there are no nasties in it so its good for your kids to use! These products look great I’d love to try them! These look perfect for my children, thanks for the chance to win.